Chicago Department of Streets and Sanitation (DSS) finalized the implementation of efficient citywide Grid Garbage Collection System in 2013. The grid system widely used by municipalities and private refuse haulers, changes collection routes from non-linear ward geography to a system of routes bordered by main streets and natural boundaries. 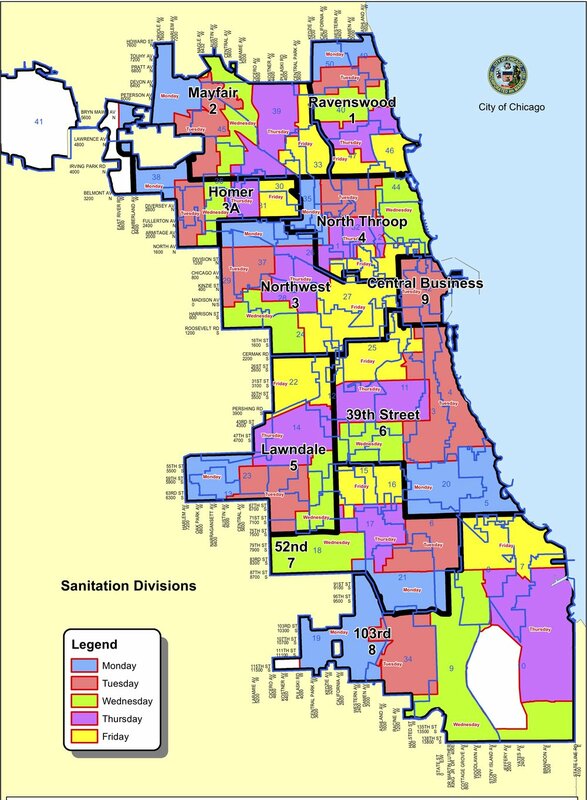 The service model concentrates sanitation workers in targeted areas of the city each day and creates balanced service regions to improve daily collection performance.